Winters are all about sweaters! But finding ones that are fashionable can be tricky. That's the reason I love this Maison Jules intarsia ivory/black sweater. I'm obsessed with this feminine lace design on the yoke. It brings attention to the face (which is never a bad thing in my option). 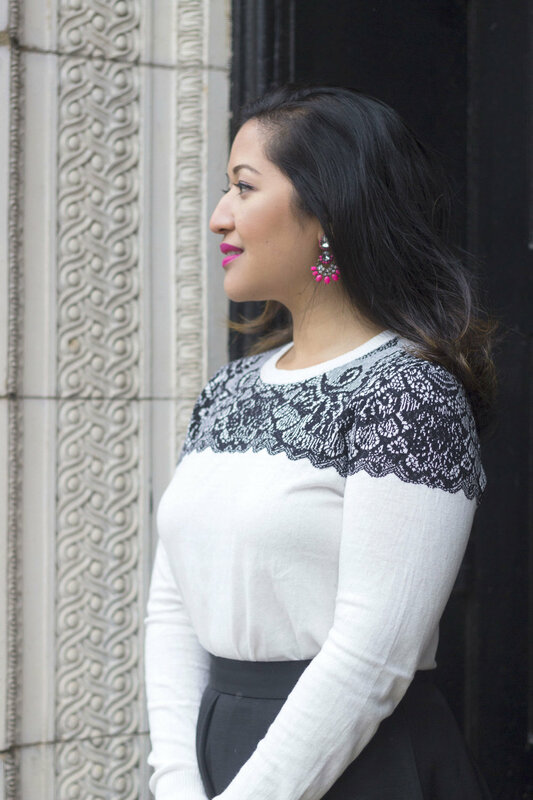 The black and white color combination is a classic- making the sweater always in style. This sweater is very versatile and can be worn in several different ways. 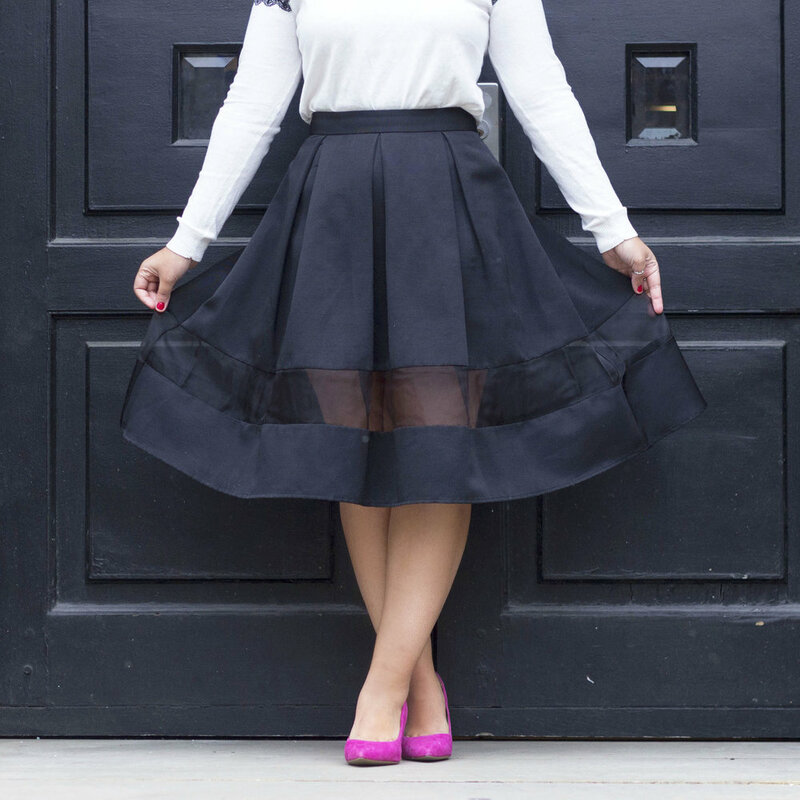 You can wear it with dress pants for work, jeans for a casual look, or a skirt for a flirty feel. I wanted to keep the look feminine to match the sweater. I paired it with my all time favorite midi skirt! This midi length is perfect for getting the lady like look. To top the look off, I wore pink pumps and accessories. You can never have too much pink in your life!